Take a pew, sit down and prepare yourself for a chuckle and a surprise with these comical comments, poetical perspectives and inspirational insights. 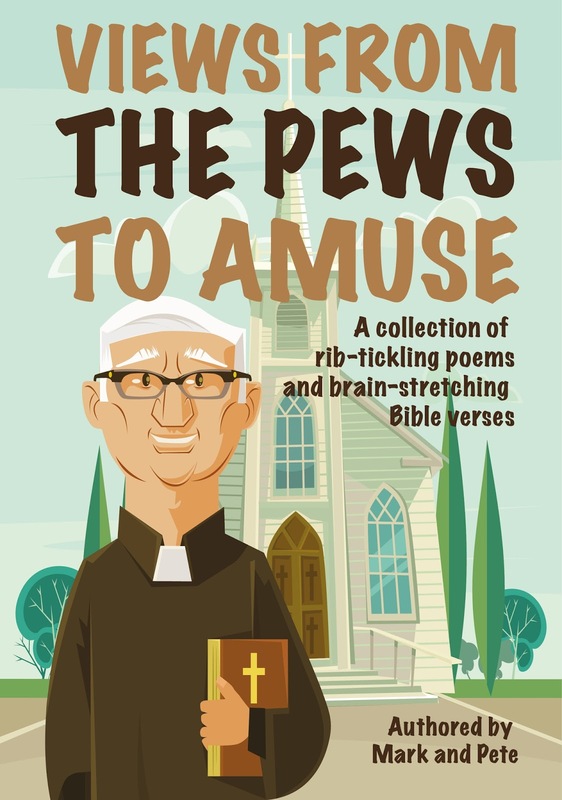 "Views from the Pews to Amuse" is a side-splitting collection of insightful and comical poems. Each poem has a Bible verse with it that has been selected to connect with the poem in a thoughtful, or comical, or contradictory manner. Topics covered include religion, business, entertainment and the meaning of life. You will never have found these topics treated in quite such a rib-tickling, mind melting manner. This compilation of poems and bible extracts is prepared for you by Mark, a successful businessman and Pete who is a vicar in the north of England. Their unimaginably popular podcast and radio show, called "Mark and Pete" tackles almost any issue. Each week on they feature an original poem. Some of the poems featured in this, the first of a series of compilations, are taken from the show whilst others are original to this book. Whether or not you are a church-goer you will find this treatment of social issues, political foibles, and moral conundrums insightful and disturbing in equal measure: guaranteed.